Inkodye has closed it's doors forever! 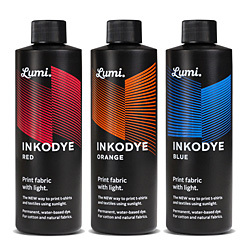 After years of partnership with Inkodye, then the new owners of Lumi, they have finally decided to throw in the towel. We will miss the quality and quirky-fun that has always been in each bottle of Inkodye, BUT, there is a product that is every bit as good, with MORE colors - Jacquard SolarFast! Inkodye is a vat dye that is ready to use right from the bottle. 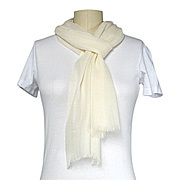 It is the most permanent type of dye available for natural fibers. It will not stiffen fabric and is able to withstand strong soaps, boiling water, rubbing, dry-cleaning, common bleaches and sunlight for moderate periods of time. Using Lumi's app you can create a negative using your own image or choose from a selection of stock images to get you started. Photoshop, and other image editing software, can also be used to create a digital negative. After you have your design ready to go just print onto the Inkofilm transparent inkjet film using an inkjet printer, paint on some color and let the sun do the rest. Inkodye is a true vat dye that has been pre-reduced to a clear leuco-base form and is ready to use right from the bottle. 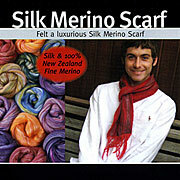 It is one of the most permanent types of dye available for natural fibers. It will not stiffen fabric and is able to withstand strong soaps, boiling water, rubbing, dry-cleaning, common bleaches and sunlight for moderate periods of time. Ideally suited for the home dyer, Inkodye techniques are not difficult but are quite specialized so directions must be followed carefully. Inkodye colors develop best on untreated cotton, linen, rayon and raw silk. Most other natural fabrics - including some synthetic, permanent finish and crease resistant fabrics - accept Inkodye quite well, while on others the dyes will only produce colors of light to medium value. Best results are obtained on white or light colored fabric. It is important to always dye a test sample of the fabric you intend to use before starting any project. The most significant difference between Inkodye and other dyes is that color development is achieved through direct exposure to UV light, heat or the use of steam. From the bottle, Inkodye is a slightly thick liquid of an ideal consistency for direct application techniques such as screen-printing, stenciling, brushing, sponging and block printing. Inkodye can be diluted with water for applications requiring a thinner consistency such as tie dying, dipping or spraying. If a thicker consistency is required, sodium alginate may be used. If kept in a cool, dark place Inkodye has a shelf life of about two years. Intermixing of Inkodye colors follow the same rules as does the blending of pigments: e.g., blue plus red produces purple, orange plus blue will make gray etc. Pastel hues can be achieved by mixing any color with water at a ratio of 1:3 or 1:5, Inko:water. Like all dyes, Inkodye colors are transparent and will produce secondary colors when one color is applied over another. To lower the intensity of a color, add increasing amounts of the compliment color. Water may be used when it's desirable to reduce the consistency, for application techniques like tie-dye, dipping or spraying. Because the final color cannot be seen until development, it is recommended that you test your color blends during the mixing process by developing small samples with a hot iron. IMPORTANT: Because of its sensitivity, handling of Inkodye (color mixing, thinning, thickening and application) should be done in subdued light. For best results, keep Inkodye stored in opaque plastic or dark glass containers, away from light or heat and purchase dye in quantities that will be used within 2 years. SUNLIGHT or UV â Exposure to sunlight is the preferred means of developing Inkodye colors. After the dye is applied, expose the dyed fabric to warm direct sunlight. Sunlight filtered through window glass is somewhat less effective because glass prevents much of the necessary UV light from reaching the fabric, hence development will take longer. The same applies when working on cloudy or overcast days. A full-spectrum UV light will also develop the dyes but will also take longer than natural direct sunlight. It should be noted that colors that have been diluted with water take approximately ten percent longer to develop than full strength dyes. IRONING â Development by ironing can be accomplished while the dye is slightly damp on the fabric or after it has dried. If the dye has already dried, using steam during the ironing process will hasten development. Adjust the iron to the "cotton" setting and iron the fabric SLOWLY. Do not rush. As long as fuming continues, development is taking place. Inkodye fumes are not considered toxic but can be disagreeable. Use adequate ventilation and common sense. If the fabric you are using is subject to scorching, use a steam iron. Development by iron is not recommended for raw silk. BAKING/STEAMING â Baking the dyed fabric in an oven at 280°F will also develop the colors. It is important that the temperature not go over 280°. A flat piece of fabric placed on a cookie sheet will develop in about 5 minutes. A bound piece of fabric will take from 15 minutes to 1 hour. Baking is not recommended for any fabric treated with a wax or solvent based resist, due to the hazard of fire. Steaming in a pressure cooker or an autoclave at 3 pounds pressure for 20 minutes is will also develop these dyes. SCREEN PRINTING â Screen-printing with Inkodye requires a somewhat finer screen fabric than you might normally use. For most purposes a 12XX is best, but for unusually fine lines a 14XX is needed. If working with fabric that has a particularly dense pile or course texture a 10XX screen will produce the best results. To print, use any type of water resisting stencil. Hold the squeegee blade at a 45° angle and use a moderately firm stroke. Make 2 to 4 passes as needed, depending on the requirements of the fabric. When using 2 or more colors you can either develop each color as it is printed or allow each color to dry before printing another color and then develop all the colors at the same time. After color development, rinse thoroughly and wash immediately in a machine in warm water and Synthrapol or Prof. Textile Detergent. TIE DYE â For tie-dyeing Inkodye must be thinned with water. To dilute, simply mix the dye and water in a non-metallic container to the desired consistency­do this in subdued light. Dilute the Inkodye with 2 to 5 parts water. A 2:1 water to dye ratio will produce strong, vivid color; 5 parts water to 1 part dye will give you more pastels colors. A 4-ounce bottle of Inkodye diluted with 8 ounces of water will dye a shirt. Using twine, sinew or rubber bands, fold and tie your fabric into the desired pattern. You can also stitch resist designs into your fabric. To apply the dye to the fabric you can use either the dip method or directly apply the dye by brushing it on or using a squeeze bottle. To dip, pour the diluted dye into a non-metallic container big enough to hold the item to be dyed. Using rubber gloves, immerse the fabric in the dye solution, turning and kneading until all areas are wet. When finished, gently press out any excess dye. To develop the dye using sunlight, simply spread the fabric out in the sun or under a strong UV light, making sure to turn and rearrange it every few minutes. Baking the fabric at 280°F for up to 1 hour will also develop the dye. (If using waxed sinew or rubber bands baking is not recommended.) Do not strive for complete development of every area as the differences in degree of development create intricate tone and color variation. After development, first rinse the fabric in water then remove ties. Then wash immediately in a machine in warm water and Synthrapol or Prof. Textile Detergent. 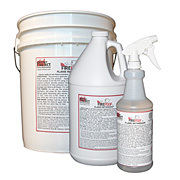 PAINTING, SPONGING AND SPRAYING â For hand painting or sponging techniques you can dilute Inkodye with 2 to 5 parts water to produce a dye solution ranging from watercolor consistency to that of standard fabric paint. Adjust the consistency to suit your preferences. Hand painting with Inkodye follows the same principles as watercolor (or standard fabric painting when working with a thicker dye solution.) Soft blending of color may be achieved by painting wet on wet with a thin dye solution or by dampening the fabric slightly before painting. Working with a dry brush and a thicker dye will produce completely different textural effects. Painting with Inkodye can be done with or without resist. For a more spontaneous experience, you can spread the fabric to be painted in the sunlight; as you apply the Inkodye, the colors and the painting, as a whole, will develop as the work progresses. To spray or airbrush with Inkodye you will need to thin the dye enough to allow it to go through the spraying apparatus; some experimentation with your equipment may be necessary. After color development, rinse thoroughly and wash immediately in a machine in warm water and Synthrapol or Prof. Textile Detergent. 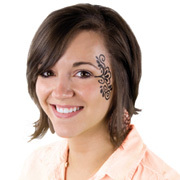 STAMPING, STENCILING, BLOCK PRINTING â To stamp, stencil or block print with Inkodye, no dilution is necessary. Ready-made rubber stamps, wood, Styrofoam, or hand carved linoleum blocks can all be used for block printing with Inkodye. Experiment with alternative materials as well; string, leaves or grasses, feathers, a shucked ear of corn or even crumpled paper glued to a piece of wood will all produce interesting textures that can be utilized for block printing. Begin by placing a piece of felt slightly larger than the block you are using in a shallow tray. Working in low light, use a brush to saturate the felt with the dye. Press the block onto the felt and then onto the fabric. Develop the colors using any of the methods previously outlined. After color development, rinse thoroughly and wash immediately in a machine in warm water and Synthrapol or Prof. Textile Detergent. BATIK â In the batik process, a resist is applied to the fabric to protect (resist against) specific areas being dyed. It is usual to apply the lightest color first. Each successive color applied should be the next darkest color in your palette; the final color applied should be the darkest. 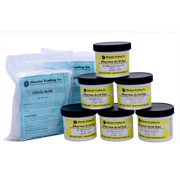 Melt premixed Batik Wax, or your own combination of Beeswax or Sticky wax and Paraffin wax. The wax mixture can be melted in a double boiler, electric Melting Pot, or old electric frying pan set at about 220-240° (Work in a well-ventilated area and BE CAREFUL! If you heat the wax over 240° it can give off toxic smoke or burst into flames) never leave hot wax unattended!! Never melt wax directly on the stove­if working on a stove, use a double boiler set up. In case of emergency, douse the flames with baking soda, NOT WATER. You may want to try our new Soy wax, which melts at a much lower temperature than other waxes. Ideally, for the wax and dye application, the fabric should be stretched onto a frame so that the underside is not in contact with anything. Apply the wax, using a brush or tools like the Tjanting (also known as canting) to make outlines. When applying wax, no matter what method you are using, regulate the temperature so that it penetrates the fabric, not so cool that it just turns yellowish and sits on top, and not so hot that all your lines spread out too much. Our Electric Tjanting can be regulated, so the wax is maintained at the correct temperature. The wax should have a clear appearance. Check the back of the fabric and reapply wax anywhere it didn't penetrate. You can now apply and develop your dye as desired. Removal of the wax is one of the more tedious aspects of the Batik process. If your dye was developed using UV or sunlight, you can remove the wax by immersing it in boiling water to dissolve most of the wax. Skim the wax off as it floats to the surface and set it aside for later use or allow it to cool and remove the wax cake that forms on top. (DO NOT pour the hot water and wax mixture down the drain). After boiling, dunk the fabric in cold water and the remaining wax should flake off. Repeat as necessary. When using an iron to develop your color you can remove the wax at the same time. Place the fabric wax side down on a stack of newspaper. Iron the back of the fabric, discarding the papers as they become saturated with wax. Remove the remaining wax with hot and then cold water as above. Rinse thoroughly and wash immediately in a machine in warm water and Synthrapol or Prof. Textile Detergent. BATIK (Method #1) â Wax Resist, brush application, crackling, sunlight development. 1) Wax the areas to remain white and let the wax cool. 2) Apply the lightest color you will be using and develop that color using the Sunlight/UV method. 3) Wax over the areas of the color you just developed that you want to keep that color. 4) Apply the next darkest color you have and develop that color, repeating this same process until you have used all of your chosen colors. 5) Optional: To achieve a traditional crackled Batik effect you can apply wax over the entire piece, allow it to cool and then gently crumple the waxed fabric. Follow this step by applying a dye color darker than any of the colors you have used on the piece. Repeat the development process. 6) Remove wax either by ironing or boiling. BATIK (Method #2) â Wax resist, brush application, crackling, iron or steam development. 2) Apply the lightest color you will be using and allow it to dry. 3) Wax over desired areas of the color you've just applied. 4) Apply the next darkest color you will be using and repeat the process until you've applied your desired colors. 5) Wax entire piece and crackle it when cool. 6) Apply your darkest color over the entire piece and develop your color using an iron or by steaming. 7) Remove wax either by ironing or boiling. BATIK (Method #3) â Inko Resist (Faux Batik method) sunlight development. 1) Apply the Inko Resist to the areas you wish to remain white; allow it to dry. 3) Develop under UV or sunlight. 4) Apply the next darkest color and allow it to dry. Develop color as above. 5) Repeat until you have applied and developed all desired colors. 6) Remove Inko Resist by rinsing in warm water and laundering according to garment or fabric care instructions. The French silk painting technique called "serti " can be adapted for use on most fabrics and can be done using thinned Inkodye. Serti (closing the fence) is the silk painting technique where designs are formed with gutta or water-based resists, which are applied to white silk stretched on an adjustable stretcher or homemade stretcher frame. Once the solvent-based gutta or water-based resist has dried, it acts as a barrier for the dye or paint­keeping the color within the outlined areas of the design and allowing you to achieve sharply defined borders. Without this barrier, the dye or paint would flow into more of an abstract, undefined pattern. 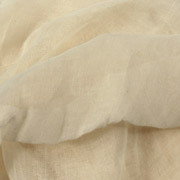 After the dye or paint has been properly set, the clear gutta or resist is removed and a defining line the color of the original fabric remains. 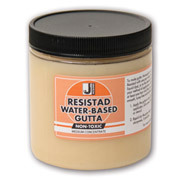 Colored gutta and resists are also available that are meant to remain in the fabric. Steaming is the preferred fixing method for traditional silk dyes. If using Inkodye for this technique, the principles are the same but you have the option to use alternative fixing methods specific to Inkodyes. IMPORTANT: If using solvent-based gutta, due to the risk of fire, development by baking or ironing is not recommended. If ironing is the development method you prefer, use a water-based resist. Colored water based resists can be fixed (made permanent) by ironing 2-3 minutes on the reverse side of the resisted area and clear resists can be washed out after development. After color development, rinse thoroughly and wash immediately in a machine in warm water and Synthrapol or Prof. Textile Detergent. Inkodyes are vat dyes in a liquid leuco form, which means they do not exhibit their final color until they are developed on the fabric with heat by ironing, steaming, baking or sunlight. 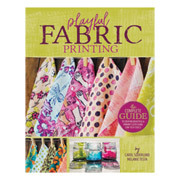 They can be used on cotton, viscose, rayon, linen and silk. You can follow the usual rules when mixing colors. Clean up with water. Can I paint directly onto silk using Inkodyes? Yes you can even though these dyes develop with heat or sunlight. Here is how you do it: Spread the fabric in direct sunlight, start painting, and the colors and the painting as a whole will develop as the work progresses. Upcycle an old piece of clothing into something new and amazing! Transform their doodles into prints that will last for years! Create your own sunprinted batik silk scarf! Transfer photo negatives onto our silk ribbon by using the photographic property of Inkodye. It's like magic! I'm surprised to read that others found the colors developed poorly. I've used these at least half a dozen times most of those occurring on overcast days in the Northeastern USA (Boston area) in winter and my colors turn out quite bright if I use Inkodye at full strength. This last time was my first using water-diluted dye and I got beautiful pastel colors on silk. In the past I used Inkodye full strength and brushed it on large rubber stamps to decorate cotton clothing items. I subtract one star because of the cost and the fact that I don't think the colors really mix according to the Red-Yellow-Blue color chart--at least not for me! 12 of 12 users found this review helpful. 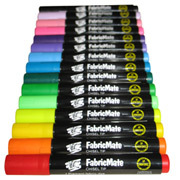 Colors are vivid colorfast and long-lasting. Fun to use though limited to sunny days. Can be developed by an iron but not as magical. Downside is that they're pricey. I'm developing a T-shirt business using them. 6 of 6 users found this review helpful. Liked these products a lot. 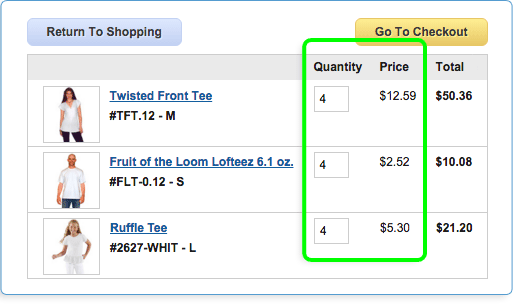 I was making t-shirts with children but nowhere near enough dye in the small bottle to cover more than 2-3 shirts. I bought the extender and 2 colors hoping this would be enough but not the case. Cool product and concept though. Kids enjoyed the magic color that came out of it and so did I. 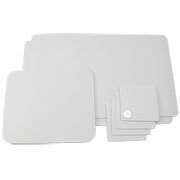 Kind of expensive for the amount of work surface you can cover but like that it is non-toxic too. Black print came out more of a purplish brown color. Plum produced sort of a rust. Sepia should just be called brown (true sepia is much more yellow). Copper just looked like a dirty orange... All these colors seem very similar. To me Lumi's palette just seems weird. Also I haven't been able to produce any prints that aren't mottled and I have found it difficult to achieve deep colors. Overall not too impressed...Plus you have to apply the dyes indoors but the smell gave me a headache. 3 of 4 users found this review helpful. There are alot of creative possibilities and the color especially blue or purple (by mixing blue and red) are gorgeous. The blue can be diluted quite a bit and still produce bright prints. I used some old slideshow transparency sheets and IrfanView or Powerpoint to create my negatives and images. Mostly I have tried this with shadow printing collages. The trickiest thing is keeping both the fabric and the item or negative flat and stable also you have to be careful to avoid spills. Pinning to a foam board is very helpful. Lumi's instructional videos weren't very helpful. Jacquard's solarfast website has more useful info and a free program to convert images to negatives and test different colors. this is a terrible project. the directions are confusing. the printer didnt work with the plastic paper. you will need to order more off their website if it doesn't work. if you go on their web site and watch the video they make it look so easy. BEWARE it takes a long time to figure this out and the end result is probably not worth it. 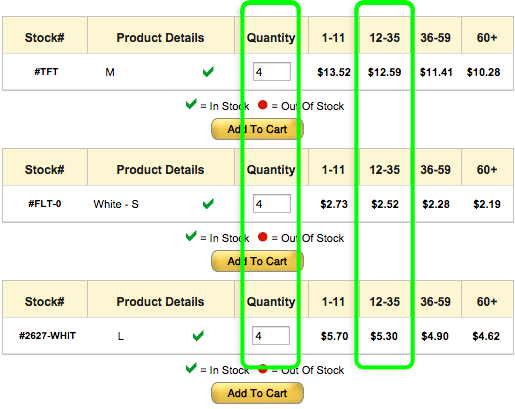 Also if you buy it directly from "Lumi" inkodye they do not take returns. I had to throw mine away. what a waste of money that was! I bought the red and blue to make prints on cotton.The colors are not at all what they are advertised as and the finished product looked sloppy. I tried for a year to make clean prints with this product (like on their web page and never was able to achieve what they said it woUld do. The smell is toxic so if you work with it I would say donor outside. 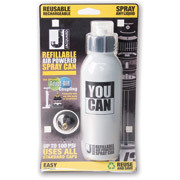 I personally would not advise this product but others seem to have luck with it. 2 of 3 users found this review helpful. Just had an amazing 4th of July party with Inkodye!!! We made red white and blue skirts and jackets. Everyone's prints turned out perfect! Can't wait to make more while the sun is out. 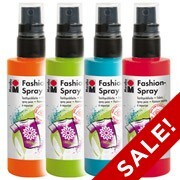 This dye does exactly what it is supposed to and I have no doubt it is an excellent product. Sadly the cost really makes it impractical for many people at least as a fabric dye. I tried it out on a small item for practice using it undiluted and while it did the job it took most of the (admittedly only 4 oz) bottle to do it. Diluting it would make it go further but the cost does not encourage experimentation. Also be aware that the fumes are really really fumey--think hair bleach strong. Still fun for small special items. My blue went from a pearly blue gray to a worrisome mauve to an intense indigo while hanging on the clothesline. So happy to see Inkodyes back! I used them in Design Dept grad school at UCBerkeley in the 1970s. Then we sold them in our store (Straw Into Gold) for many years. They were last sold out of an old dead bank building in Richmond CA - then they disappeared. I'm going to get some to use with my grandkids. I used this product 40 years ago! I want to start using them again unfortunately the colors are limited. No yellow and no clear. I want to do a full color run. I know you can thin them will water to lighten the value but that changes the viscosity. This is a relatively new product. How can someone state they have been using it for 30 years?